The past weekend has been nothing but pure bliss, along with the stress of making things fun and perfect for our closest friends and relatives. Following our baby shower last Saturday, me and my partner, now husband, officially tied the knot the following Sunday evening, May 31, 2015 at Casa Renato Mediterranean Restaurant. 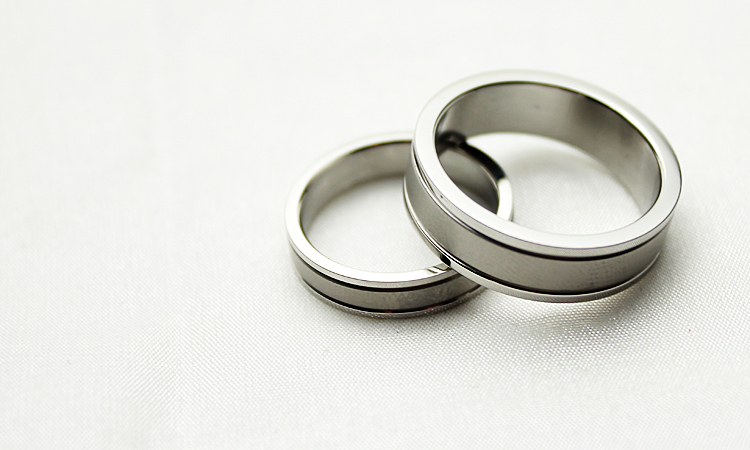 Although our wedding was simple, searching for the perfect place and wedding bands was not an easy task. Our wedding bands was simple and special as well. We have Googled a lot of stores that will allow us to purchase immediately and conveniently - this lead us to Zoey.Ph. Zoey PH is one of the popular, classic, online stores that sells imported and affordable engagement and wedding rings. The store is online and mostly managed overseas. Once you made your ring purchase, you will be meeting with the mother of the owner for your fitting and purchase. I was eyeing on a lot of wonderful rings but we have found it difficult to choose the correct color for my partner's skin tone. 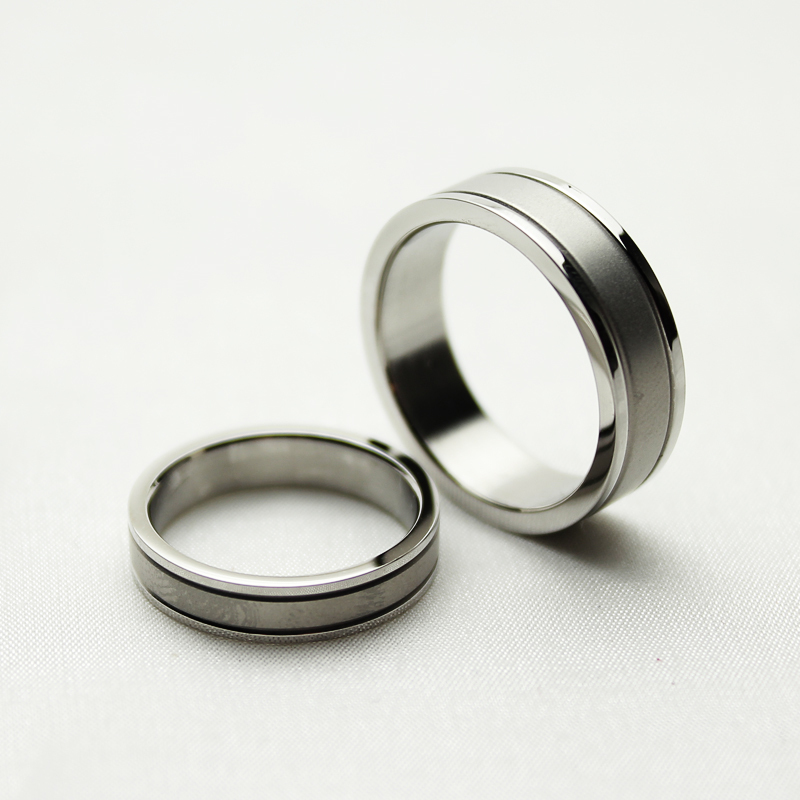 We both fell in love with the classic Silver Grove Titanium Wedding Bands which matched our skin tone perfectly. Our wedding was short, simple, and sweet; And although there was no entourage and long gowns involved, the feeling was still as amazing as I thought what weddings would be like. Casa Renato is a special place for the both of us. We both shared a few memories of celebrating our dates and birthdays at this place. Even then, we have already decided that someday we will book the entire place for our wedding reception. So, when we decided to get our civil wedding going, we did not hesitate to book a room at Casa Renato where we held the ceremony and the reception. The place is so rustic and romantic that everyone fell in love with Casa Renato. In time, we also wished to share this wonderful experience with our friends. Maybe we'll have another wedding here when our little Arya arrive. By that time, we'll already have our little flower girl and will definitely book the entire place. We we're once toured by the lovely owner of Casa Renato, Ms. Grace. Which eventually made us love the place more. Oh, and by the way, the food is as amazing as the place. I strongly recommend everyone who reads this to check Casa Renato, take your family and friends here, or maybe propose to your girlfriends here. Casa Renato is located at 7 Dahlia Avenue, Fairview, Quezon City. 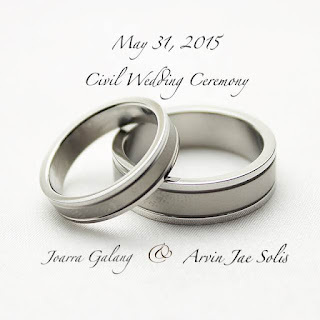 9 comments on "A&A Wedding 2015: Casa Renato & Wedding Bands"
Hi! I would just like to ask if zoey is a legitimate seller. Me and my future husband are quite hesitant to purchase online since we already had a bad experience shopping online. I am really looking for someone who has experienced purchading a product from Zoey. Most of the blogs I have read have recieved the products for free. Yes they are legitimate. They have the most amazing and affordable rings so far. We did not purchase online and we meet the owner since we didn't know our ring sizes. Hope this helps! Thank you! Glad to know about your wedding and pre dinner for the big day. My sister also planned a welcome party for her sister in law after her wedding. Dinner was arranged at home studios NYC with some subtle decorations. Tables were decorated with crystal vases and matching lilies.